Defcon 16 is over but all presentation slides have been packed into an ISO file. You can grab it here: Defonc 16 ISO @ I-Hacked.com. 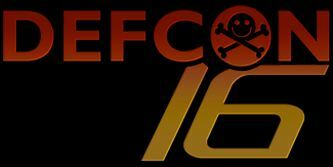 MD5 and SHA1 keys are available here: Defcon16 CD ISO Posted. For those who dont know, I-Hacked.com is a website that shows you how to take advantage of electronics technology to make it faster, give it added features, or to do things it was never intended to do. They even have a section on graphics card hacking. Not really up to date, but it doesn’t matter.